#6 What Metrics & Standards Professionals Use To evaluate Translation Quality Part 1steemCreated with Sketch. As a Community Manager for the Translation category, I have been given this awesome task to look into the guidelines and metrics professionals use when they measure the quality of a piece of translation. I majored in teaching English as a Second Language as my second degree in University. So all these years, I've been trained to teach English to chinese people ranging from children to adult level. I also did a lot of volunteer work to translate English to Chinese for the chinese communities, so with this background and experiences behind me, I hope to be able to come up with an excellent guideline to measure the quality of translation in the Translation category in Utopian. During this past month, I spent a lot of time reading up on the most updated articles from different univerisities and organizations in how professionals assess a quality translation work. There are actually some new theories and standards used by companies who put a lot of money in their translation projects, so their metrics are also worthy for us to take into consideration. I have written down a lot of notes and gained a super amount of knowledge in this area that I am not sure how to reproduce them all in this one article. I hope to highlight some of the important findings and summarize them on these #iamutopian posts so that we can always use these articles as resources to continually improve on the translation category. And by the end of all these writings, we will be able to come up with professional guidelines and metrics to bring the translation category to a high level of standard at Utopian. So for this introductory article, I will deal with some basic questions people often ask me about translators and their requirements. Does a transator translate only to his native language? Can he translate to another language other than his mother tongue? Are they competent to translate outside of their mother tongue? What kind of approaches are there in translation? How does one evaluate a translation objectively? 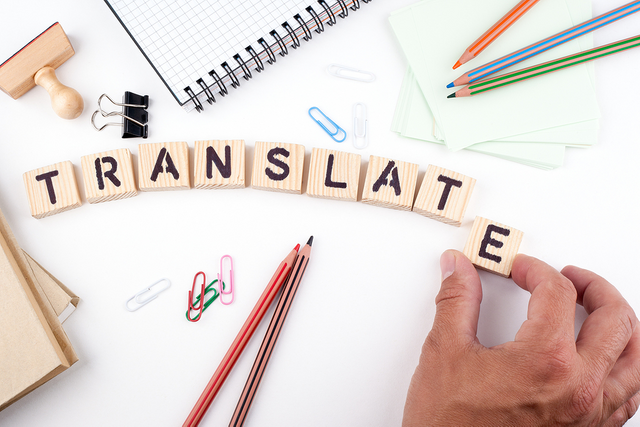 By laying down some fundamental understanding of translation and its basic requirements for translators in this article, we can then move forward to talk about higher professional standards and metrics of evaluating a quality translation in the next article. One of the first requirement for measurement is that the translator must be competent in both languages (source language & target language). I was fascinated by 'language studies' when I majored in Linguistics in my sophomore year as it gave me a good background in understanding the science of language. 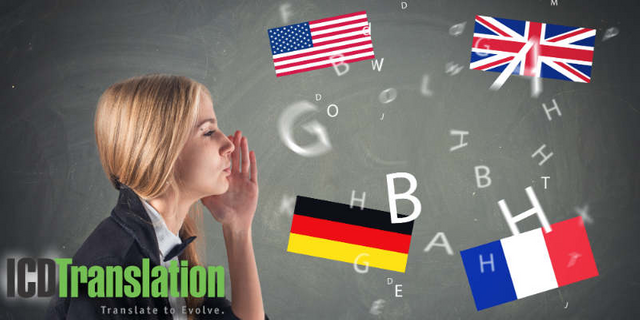 You need to undestand that different languages portray the world differently, therefore translation provides the medium to explore and interact with different culture and how each country sees the world in its unique way. Therefore in translation, it is important to interpret accurately the meaning of a text in that specific culture and then producing that same meaning to another language. This is where the science of "Linguistic study" comes in. All the words of one language often do not have a corresponding word in the other language, and this becomes crucial that the translator needs to have the linguistic skills of both languages. Therefore, to be qualified to do a professional work in translation at Utopian, I am a firm believer that the translator must be highly competent in both languages. Thus for this reason, at Utopian- Davinci collaboration, we ask that all translators who apply for the translator role must do so in both languages - English and their native language. 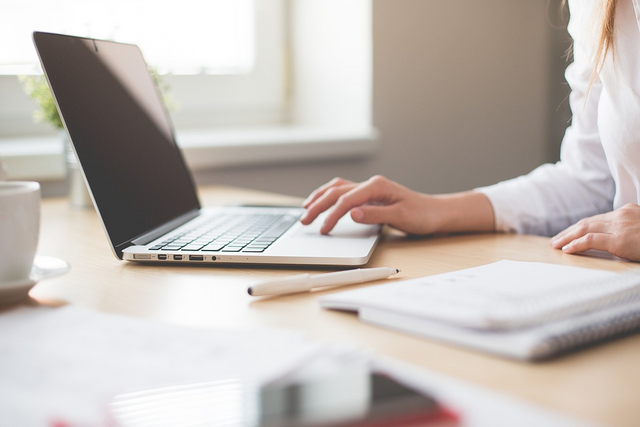 Although it is difficult to assess a person's competence in a short application post, one of the things all translators should strive at - improve on their linguistic and cultural skills. They must be able to speak and write well in English and in their native tongue. At Utopian, we mainly do written translation of FOSS projects in Crowdin. The translation is a process of rendering of a text from one language into another. This requires the translator not only have excellent knowledge of both languages but also on the subject matter covered in the text. The goal is to deliver the text in the target language with the highest accuracy. So for our translators in Utopian, the translator needs to pay attention to specific usage of terms in both source and target languages, abbreviations, idioms, expressions, syntax, grammar and unique terms used for the different countries. Must a Translator Translate only in their Native Language? Come the next question. Is it true that the translator can only translate to his native language? Can he translate to another foreign language that he is competent in? The general rule is that it seems more safe for a translator to translate in their mother tongue. Most people are competent in their native language because they drank it from their mother's milk but when it comes to translation, it does not necessarily mean that you must translate to your native language. There are translators who speak more than one foreign language because of how they were brought up and where they went to school. The final crux really depends on the language or culture where the translator did their studies because that will be the language that he also is most competent in. The educational environment of studies often determine the competency of our linguistic level of that langauge. For example, if I studied abroad in Paris from elementary school to university level, I would be able to acquire a level of competence in French that would enable me to translate to French fluently because of my interaction with the langauge and growth in the French environment and culture. The same also applies for people who move and work in another country for decades. In such a case, they would have the time needed to acquire the competence and skill of that foreign language. From my research into this topic, I see that in the majority of cases, translators are trained to work only in their mother tongue, even in Master degree courses as this is the case in the UK. This is just a general trend and not the rule. For many other countries, especially those that are smaller and with a more exotic language, translators are often trained to translate into the foreign language as well. 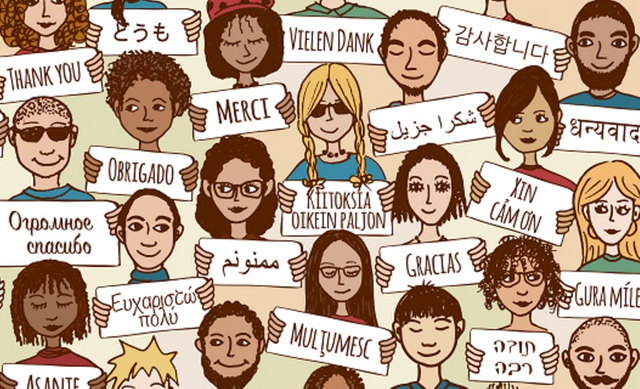 In this multicultural society, like me, many people are brought up speaking two languages. For example, if you have parents who are native speakers of French and German, then you are bilingual. You learn both languages from child birth and both can be considered to be your mother tongue. In such a case, you can translate in both directions: French to German and German to French. If these people are skilled in languages, they will be your best translators for both languages. Many people fall into this category where they acquire the second language by training. For example, if your mother tongue is German and the second language you use professionally is English, then it is easy to translate from English to German. This can also work the other way when English becomes the language you use daily. I feel that for all second language translation, it is good to have a native speaker to act as a reviewer or proofreader for the translation as there are always limitation for second language learners both linguistically and cultural-wise. This is exactly what we are implementing at Utopian in that that all our language moderators review in their native languages. In this way, we can be confident that the translation work is in the highest accuracy. Many translators nowadays are officially trained and certified in language training. The university training provides the best translators as the courses and praticum can help trainees to understand the mechanics and work in different language settings. Often times they are sent abroad for their practicum. Those who get trained become very skilled because of their love for languages. Often, they can translate to more than two or three languages. At Utopian, we have translators in all these 3 different categories, and most of them fall into the second category. Translation is communicating the meaning of a source language text to an equivalent target language text. If you do the word for word literal approach, you run the risk of a very dry and most often times inappropriate translated words are used. Words don't flow and meaning get stuck in the words used. Whereas if you use the equivalent meaning translation, you need to have the skill to find the appropriate word to bring out the actual meaning in the target language. Remember, "linguistics" always plays an important role in the translation because you are working in two languages. You need to decode and decipher all the facets and functions of the original language into another language. At Utopian, we aim for the second approach to bring out the highest accuracy in the translation. From working in the immigration department for a couple of years where professional translators are always wanting, I discover that the quality of delivered translations had not been easy to define. We tried to choose the best translators who claimed to have the highest reputation, but the result was not always satisfying delivering the desirable results we wanted. 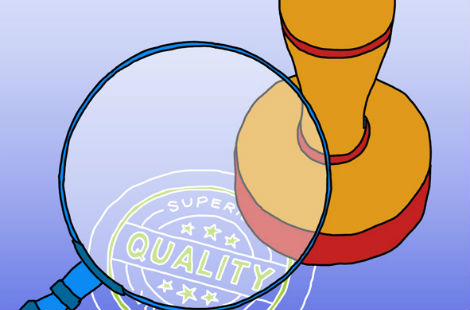 A lot of factors actually go into the quality standards of translation such that it very difficult to consistently evaluate and rate language deliveries objectively. So in evaluating the quality of translation, we need to find a consistent and uniform manner, thus the need to write out specific guidelines of measurement for the Translation category. Even writing out guidelines is a cumbersome task as it also depends on the nature of the projects. A software project demands the highest level of translation resources using computer languages. A narrative project will demand a more artistic creative flow of language from the translator. So when we write out guidelines and metrics for the translation category, we need to put all these things into consideration because of the different complexities of projects. I don't want to do a superficial job in writing out the guidelines, therefore I will write out all these research and findings I have discovered to lay down a good foundation for my guideline proposal. We will certainly follow the professional metrics that are used by different univesities and companies so that our quality can also meet the same kind of standards. In my next article, I will continue my research and talk about specific 'standards' and 'metrics' of how the professionals out there evaluate translation quality. Thank you for reading this post! If you like the post please resteem and comment. This is a very comprehensive post, with many good and informative points. I, of course, have comments. Let's start with the big question you raise: "Must a Translator Translate only in their Native Language?" While I agree with your overall answer of "no," I want to say that for me, the specific answer is different. It's not about your education or how and where you were raised. It boils down to this: You have to be a good writer in the language you're translating to. And then you have to practice a lot. Translating from your native language to a different language is a tricky thing, and training really helps. Personally, I'm a pretty skilled writer in English, but I don't translate to English professionally. I've done it a few times pro-bono, for friends, to practice. But I haven't leveled up in it to the degree that I can charge for it. On the presentation side, I think you can still do better in English style and grammar. I'll be happy to provide examples if you wish, in a follow-up comment. Thanks @didic for your comments and review. I appreciate your feedback. Yes, I want to improve on the presentation, and would love to hear your follow up comments. Thanks for doing all these extra work to help us improve. As usual, these are examples that represent the issues in the post. Should be "I have been given this awesome task of looking into"
Consistency requires this to either be "children to adults" or "child to adult level." I also did a lot of volunteer work to translate English to Chinese for the chinese communities, so with this background and experiences behind me, I hope to be able to come up with an excellent guideline to measure the quality of translation in the Translation category in Utopian. This should be two sentences at the very least. "volunteer work to translate English" should be "volunteer work translating English"
The second "chinese" should be capitalized, as the first was. "an excellent guideline" should be "excellent guidelines" or "an excellent set of guidelines." So far this week you've reviewed 13 contributions. Keep up the good work! Very good article, totally agree with your points. In the past half year, I first time realized the 'Equivalent meaning translation' really need high-level linguistics in both sides. Sometimes one sentence is filled with several very simple words, while it is very difficult to be translated.. Looking forward the next one. Thanks @victory622 for your feedback and comments. 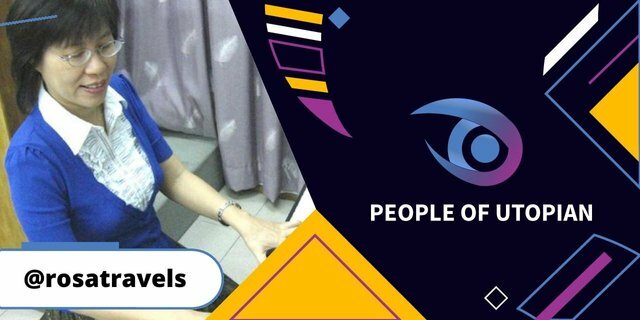 Great to have you on board in our translation team. I upvoted your contribution because to my mind your post is at least 17 SBD worth and should receive 160 votes. It's now up to the lovely Steemit community to make this come true. Your UA account score is currently 5.031 which ranks you at #997 across all Steem accounts. In our last Algorithmic Curation Round, consisting of 369 contributions, your post is ranked at #74.